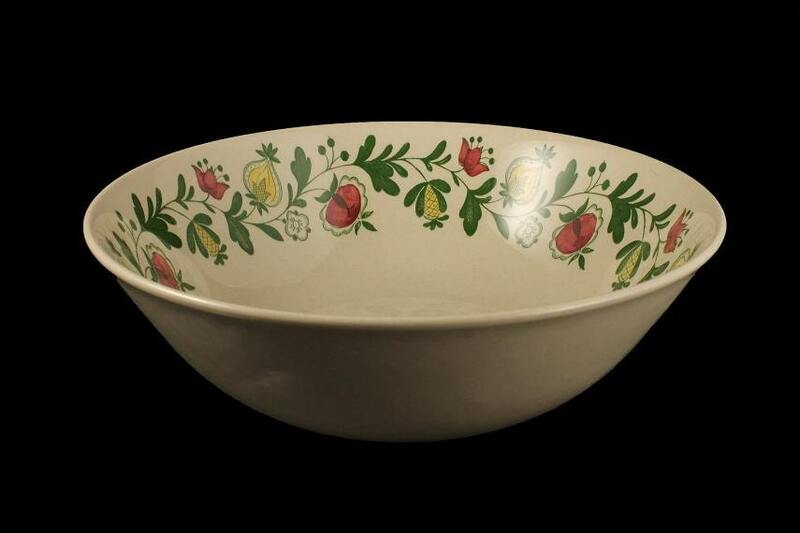 A wonderful vegetable bowl by Johnston Brothers in their Old Granite line. The pattern is called Gretchen Green and consists of yellow and red flowers on a green vine. 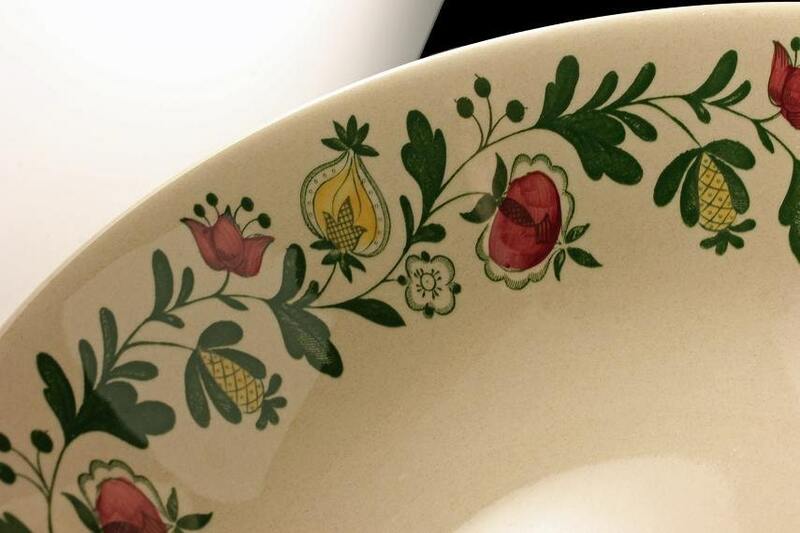 This pattern was discontinued in 1978. 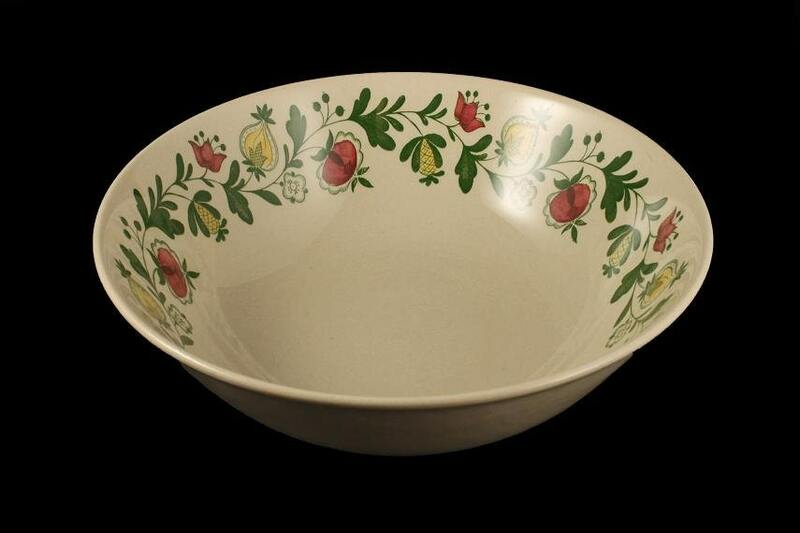 This would make a great serving bowl for your table, sideboard, or buffet. 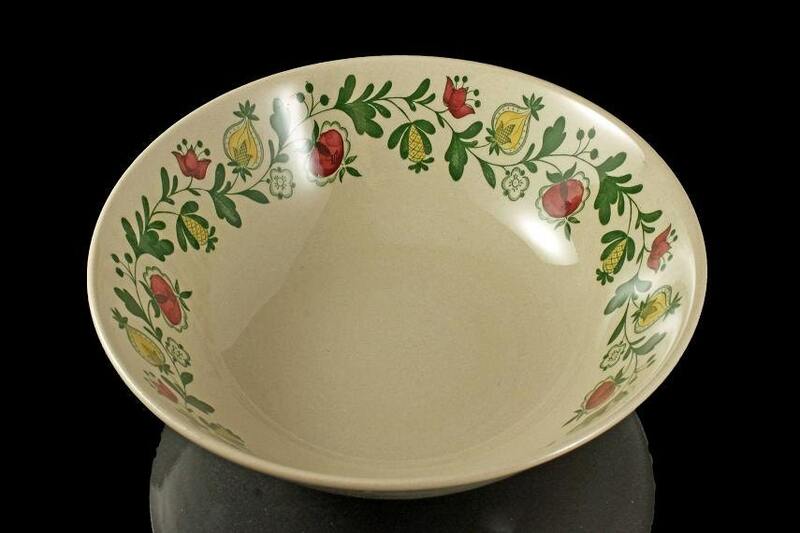 This vintage bowl is in great condition. There are no chips, cracks, or crazing. There are only light and very few utensil marks. 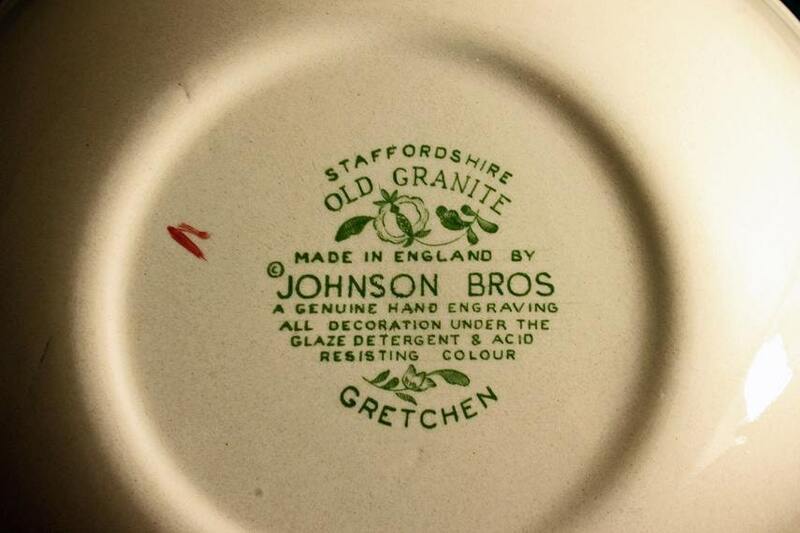 This bowl looks like it hasn't been used often. What a great gift this would make for a housewarming, birthday, special occasion or holiday.